How fun is this cake? 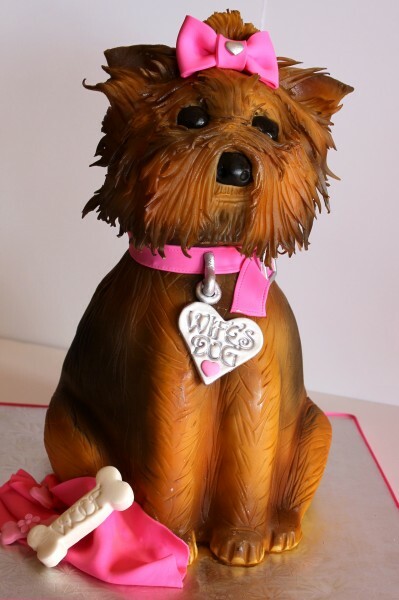 We love this doggy-licious birthday cake specially made by Andrea at Sedona Cake Couture to honor her client’s own dog. We heard that another dog actually started growling and barking at the cake when it was delivered. Talk about the ultimate compliment. All the guests had a great time eating this delicious cake. So much fun! 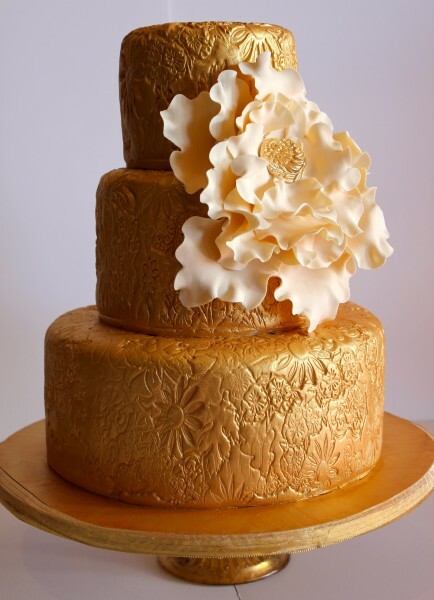 This gorgeous gold cake is being delivered today to one special bride. The textures and patterns are so wonderful with the beautifully designed flowers. Simply elegant!